The other day, I came across a quote by Jeff Goins (http://goinswriter.com/good-writers-read/) that mirrors my own belief: Nothing inspires a writer like reading someone else’s words. If you want to be a decent writer, ya gotta read. Read anything and everything, and not just in your chosen genre. 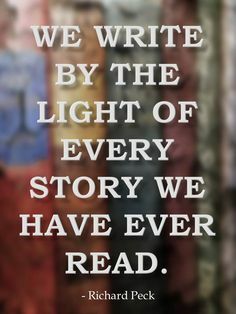 The more you read, the more you learn about the craft of writing. Grammar, sentence structure, story development, description, and so on. Obviously, reading alone won’t get you there. Writing is a craft. Like any skill, becoming a good writer takes hard work and practice. Classes and workshops help, as well as finding like-minded people and forming a critique group. Most important, plant your behind in the chair and do the really hard stuff: the actual writing. Writing isn’t for sissies, and don’t I know it. I’ve been writing for years, including seven long years as an unpublished author. Eventually persistence and my willingness to grow paid off. To date I have published over 25 novels (for a list, visit www.annroth.net). You’d think that by now, writing would come easy for me. And in many ways, it does. But as I get better at crafting stories, some things only become more challenging. My growing skills push me to dig deeper into a character’s psyche, an often painful and difficult process. Why put myself through this? Because my character demands it. Usually the payoff is worth the effort. Unmasking hidden depths and richness that I had no idea existed leaves me awed and excited to share the treasures with you.